This 5E Paladin optimisation guide covers the latest fighting styles, Oaths and subclasses from the Players Handbook to Xanathar’s Guide to Everything. A Paladin swears to uphold their Oath, their force of will on doing what is ‘right’ pushes them to strive forward. What makes a Paladin has changed over editions and below you’ll find several flavours your Oath-bound warrior can take. 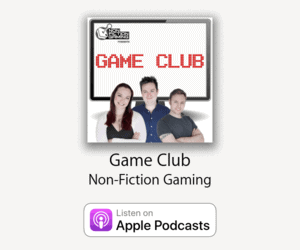 So grab a weapon, make your vow in view of the Gods and dive into making the best Paladin in 5e Dungeons & Dragons. 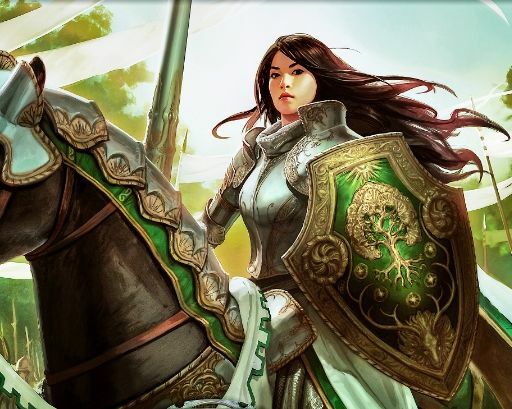 What is a Paladin in D&D? 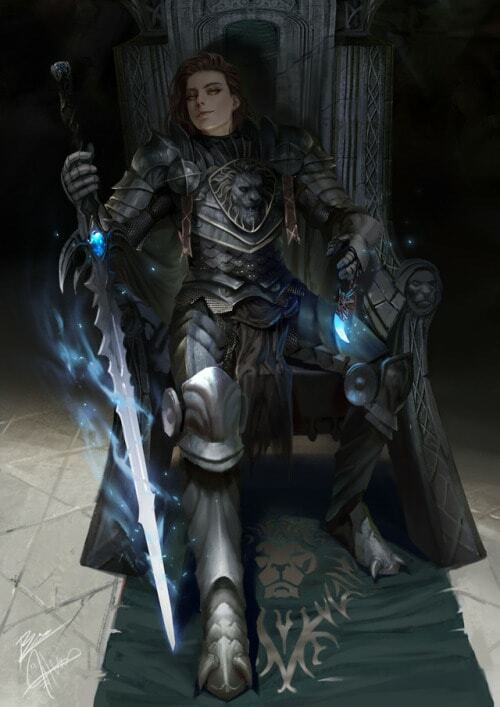 Not quite a Fighter and not just a Cleric, the D&D Paladin straddles the world between divine servant and soldier. The constant that runs through Paladin’s across editions is the divine rites they perform to serve a cause greater than themselves. In the past, all Paladins had to be Lawful Good or they would lose their divine powers. In Fifth Edition we’ve come past that restriction and have Oaths for all kinds of Paladins. While the first three oaths in the Player’s Handbook map well to alignment it’s no longer a requirement to be a Paladin. As editions evolved there was also the idea of a “Fallen Paladin” one who has violated their tenants and lost their power. The impact of “Falling” is now less a harsh consequence and more an interesting story choice. There is now the Oathbreaker variant that can be played with, though it’s probably a discussion to be had with your DM. 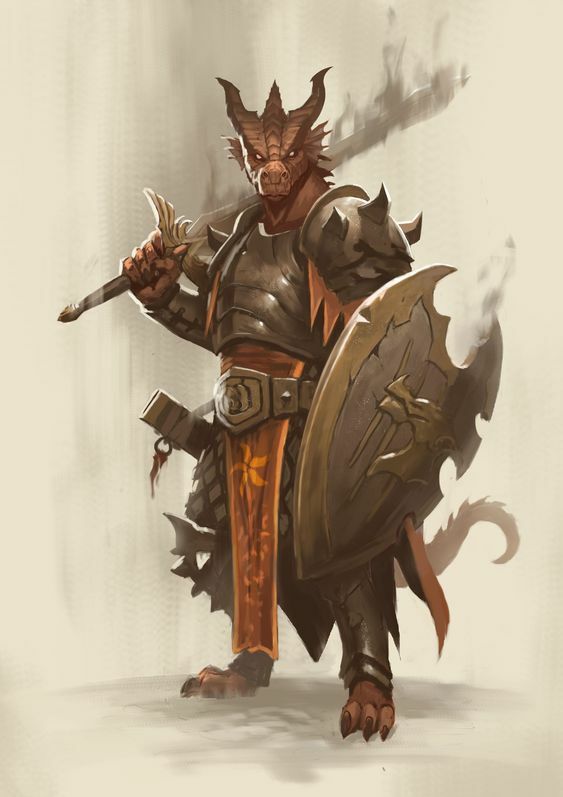 Fun playing a Paladin in 5E? Paladins are in an interesting spot as a weapons specialist that has some spells. From Lv 2 onward, Paladins can start casting spells and infusing their weapon attacks with Smites of different flavours. Though they have a similar number of spell slot growth as full casters, they’ll need to balance spending slots among utility and raw damage. The Paladin will want to also balance their physical attribute Strength (or Dexterity) with their spellcasting attribute Charisma to perform optimally. Sky Blue = Top of the line choice. Paladin optimisation starts here. Blue = Very strong choice for Paladin, but not amazing. Remember that this is a Paladin optimisation guide. We’re looking at what is strong or effective for your basic Paladin build. Where we can there will be specific information for one sub-class over the other..
Hit Dice: 1d10 per level is second only to the Barbarian. You’re up there with Rangers and Fighters, just what you want if you’re going to be in the thick of things..
Armor Proficiency: You have armour proficiency in everything including shields. Doesn’t get better than this. 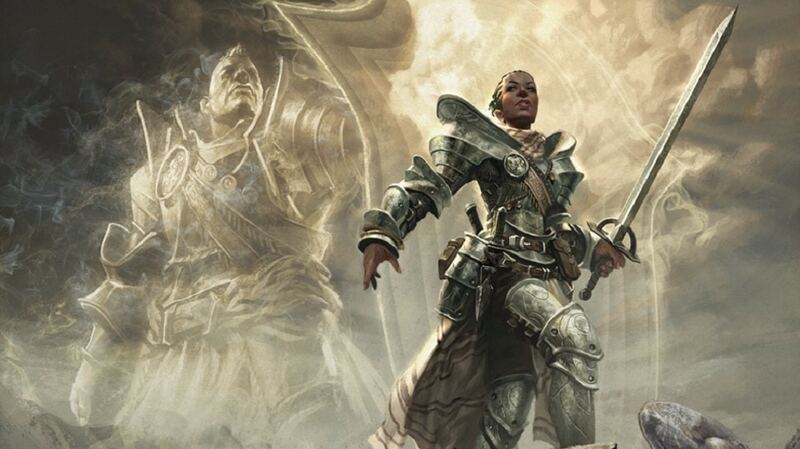 Skills: You get two from being a Paladin from: Athletics, Insight, Intimidation, Medicine, Persuasion, and Religion. You aren’t going to be getting a ton of skills with proficiency. 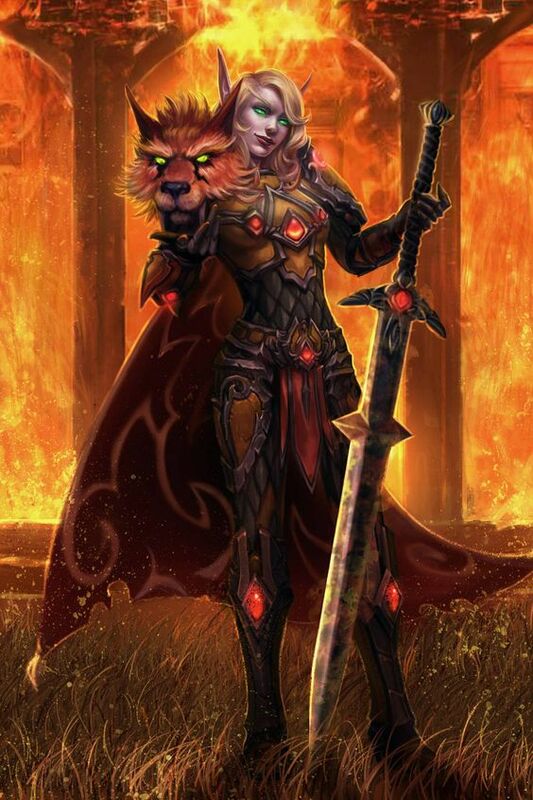 We’ll discuss the best skills for a Paladin in a seciton below because your Background and Race can add more skills. Tools: You get no tool proficiency from your class. Don’t worry too much, there are other ways to get tool proficiency through Backgrounds and downtime, though it doesn’t often come up. Saving Throws: Charisma saves are very rare, they mostly deal with banishment effects where you must compete with your force of will, so it’s sure nice to have around when something’s trying to send you to another plane.Wisdom is the big save you’ll be thankful for having a bonus in. It’s the target for some of the nastiest conditions in the game, so to have proficiency here is both thematic and very good in practice. Divine Sense – Until the end of your next turn, you know the location of any celestial, fiend, or undead within 60 feet of you that is not behind total cover. Useful if your campaign involves undead or fiends, you may get some wiggle room on learning if areas have been tainted by necrotic or fiendish magic. Lay on Hands (1st Level): Heal people without using a spell slot, though it does require an aciton. Scales with Paladin level and is a great pool to give someone 1 hp to bring them concious after a battle. Fighting Style (2nd Level) – Here’s where you begin to choose your niche in terms of weapons. You can’t take a Fighting Style option more than once and you only get one choice unless you multiclass into Fighter. Defense: There aren’t too many ways to get a flat bonus to AC. Combine this with heavy armour plus a shield and most hits will bounce off you. Dueling: Extra damage when you’ve got a one-handed weapon and nothing else. So a fencing fighter or a sword-and-board style Paladin. Great Weapon Fighting: For when you want two hands on your weapon. As written this is incredible because the reroll will apply to Divine Smite damage. Sage Advice clarifies by saying it’s only supposed to apply to the Weapon damage, still a good fighting style if you’ve got a two-hander anyway. Protection: Another good style for you shield users. Uses your reaction to impose disadvantage, if your party looks to you for protection this fits that role. Mariner. (UA: Waterborne Adventures): An option for Dex Paladins who want more AC. Worthwhile if you see yourself climbing rigging and swimming in the oceans. Spellcasting (2nd Level): You’re not a Wizard by any means but Paladins have it pretty damn good. You’ll get access to your entire spell list immediatley and can choose which spells to prepare each day. Like Druids this gives them amazing day-to-day versatility. A holy symbol is required as a focus, which can be worn as an amulet or embossed on your shield. Divine Smite: The cornerstone of your burst damage ability. Well, it’s competitive with Sneak Attack at the cost of a spell slot. It’s quite often worth it. This one can especially become devastating on a critical hit, in which case the damage dice from this are doubled. (Incredible especially if you’re attacking something under, say, a Hold Person/Monster spell!) Another key thing to remember about this is that it uses no action whatsoever, which means you can use it multiple times per round if you have additional attacks, can use it on the same turn you cast a bonus action spell (including stacking this on top of a smite spell! ), and can use it on reaction attacks (making your Opportunity Attacks or attacks from the Sentinel feat especially threatening!). NOTE: The 5d8 cap means the maximum damage from this uses a 4th-level spell slot, so you get no benefit from blowing a 5th-level slot. This may need to be errata-ed to a 6d8 cap. Divine Health (3rd Level): Immune to disease. Great when it comes up. 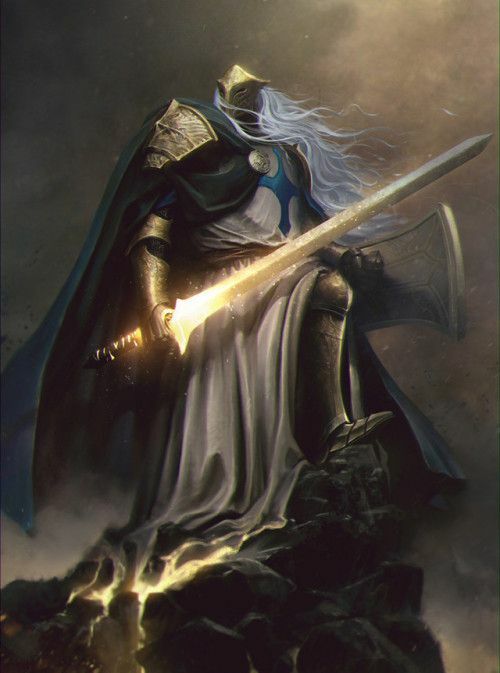 Sacred Oath – Paladin Archetype (3rd Level): Here you pick what Paladin subclass to go with. We’ll go into more detail further down. The archetype you choose grants you features at 3rd level and again at 7th, 15th, and 20th level. Ability Score Improvement (4th, 8th, 12th, 16th, and 19th level): These are great, the more the better and you’re getting a bunch of them. Only the Fighter gets more of these. Max out your primary stats and then take a some feats. Extra Attack (5th Level): A second attack is great, nice to have more but that’s why you’ve got Smite power. Aura of Protection (6th Level): Arguably the signature of the Paladin class, where you add your CHA modifier to all of your saving throws. And if allies are within 10 feet, they get that benefit, too. Aura of Courage (10th Level): Frightened can be quite nasty for a melee combatant, which you are, because it not only invokes disadvantage on all attack rolls and ability checks, but it also prevents you from moving towards the source of the frightening. Improved Divine Smite (11th Level): Bonus radiant damage every time you hit at no cost. A constant +1d8 extra radiant damage on all attacks with melee weapons. Cleansing Touch (14th Level): Negate a hostile spell on yourself or an ally with your action, with CHA-mod uses per day. Pretty neat ability, if not quite a flat-out gamechanger. Aura Improvements (18th Level): All those lovely Auras you get (Protection, Courage, anything from your Oath) expand from 10 feet to 30 feet. Whereas before it was pretty situational that your allies got your Auras’ benefits, now it’s practically a sure thing. Str: Unless you’re going for a DEX based build, you’ll want to pump this up. Strength is the best for a two-handed attacker, both are viable for dual wielding and sword-and-board fighting styles. If you’re a big strength Paladin you’ll want some Dexterity for initiative too. Dex: Dexterity is obviously preferable for finese weapons. You’ll be better at Stealth and initiative than a Strength Paladin, though a little easier to hit. If you’re going down the dex path you can let Strength slide. Con: Another top tier stat. Hit points are just too important to let slide. Paladins are melee combatants, and more hit points lets them stay in combat for longer (and recover more HP with hit dice). You’ll want to make this your third priority after your attack and Charisma stats. If you plan on casting Concentration spells in the middle of combat, you want a decent score here to maintain them when taking damage. Wis: A stat you can be content to leave in the 10-12 range. It helps that the Paladin is proficient in Wisdom saves. Boost Charisma instead and let Aura of Protection take care of the rest. Cha: Unless it fits into the kind of skills you’re after you can leave the ‘face’ stuff to a Bard. Battlemaster Paladins may favour this a little more if they’re taking the Rally maneuver. Dwarf: [+2 Con] Dwarves make a sturdy Paladin race with +2 CON, Darkvision and advantage against and resistance to poison. Thematically you’re looking at Axes and Hammers but of course you can break the mold… ideally with an Axe or Hammer. Mountain Dwarf [+2 Str] This one is a no-brainer… much like the Strength Paladin iteself. +2 STR and +2CON is one of the best race combinations in 5E. Hill Dwarf [+1 Wis] An OK choice for a Dwarf considering a DEX build, though you’ll get more value elsewhere. STR-Paladins already saw the best Dwarf option in Mountain. Elf [+2 Dex] The Elf Paladin lends itself to a DEX Paladin. They get Darkvision, advantage against charm and immunity to sleep. Drow [+1 Cha] This CHA boost is nice but there’s not much else you love. Boosted darkvision and Faerie Fire can help in an ongoing underground campaign, and the sunlight sensitivity hurts if you go outside. Maybe you can wear a big fancy hat like Jarlaxxle. High Elf [+1 Int] The INT is useless though you get a cantrip based on INT there are a few that aren’t imacted by that. Like all Elves, High Elves get Trance, proficiency with Perception checks, and the DEX boost. Eladrin [+1 Int or +1 Cha] High Elf with a teleport spell according to the [DMG], however the Mordenkainen’s Tome of Foes version swaps out the INT for CHA, makes the Fey Step more distinct, and now a quality option. The new Fey Step also has a side effect depending on what season you are, which you can change any day you want. (Note that Winter is a frightening effect and is thus valuable for Conquest). 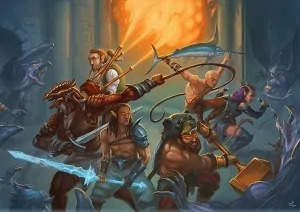 Sea (MTOF): [+1 CON] coupled with the DEX is handy, but not many uses for the waterbreathing and swim speed unless you’re in a sea-based campaign. Shadar-kai (MTOF): [+1 CON] This subrace gets some necrotic resistance and a cantrip. Using a bonus action you can do a short range teleport that gives you resistance to all damage. A solid defensive option. Halfling [+2 Dex] You get the increase in Dexterity like the Elf, but you get the Lucky Racial feature with the limitation of having to go with finsesse weapons. Stout Halfling [+1 Con] The boost to CON can be useful though you’ll be wanting to stay out of the front line as a dex Paladin anyway. Lightfoot Halflings [+1 Cha] Hiding behind people may be useful and the CHA boost helps, though you don’t get a lot of bonuses for being hidden. Human [+1 to All scores], Rather boring for a Paladin, +1 to each ability score isn’t exciting. Relying on at least 3 stats makes this a decent idea but not an incredible one. Variant Human [+1 to ??? and ??? and a feat] If Human Variant is allowed, that’s a whole different story. Get a head start on your character concept with a feat! You’ll be getting some ASIs later but a Feat (See Feats section) that can bring a Paladin concept online at level 1 is great. Dragonborn [+2 Str, +1 Cha] All the stats match up and you get a breath weapon to deal with hordes of enemies. Looks even better for a Conquest Paladin who can make use of the Dragon Fear feat [XGE]. Gnome [+2 Int] Similar to the Halfling though the INT is even worse. The small size but without the benefits of Lucky or the Dex Bonus. Forest Gnome [+1 Dex] The DEX is nice-ish for a Dex build and illusion could be fun, but it doesn’t really appeal to Paladins. Rock Gnome [+ 1 Con] Not bringing much to the table with this subrace. Half-Elf: [+2 Cha, and +1 to ???] A top choice for any CHA based class, the Half-Elf has a lot to recommend it. Here are some of those good elf features along with a plus to CHA and +1 to two others. Many Paladins will want to consider this, there are even more sub-race options on Half-Elf now similar to the Elf subraces. Skill Versatility (PHB default): The original and still the best, the default Half-Elf gets two skills of their choice. Perception is a solid choice in any campaign and the other one is up to you. If being a Half-elf fits your character idea it’s an excellent path that lets you be immune to charm. Aquatic Descent (SCAG): Dropping skill versatility for a 30-foot swim speed. Obviously better in a campaign that involves sea travel, but if you’re spending most of your time on land this is wasted. Drow Descent (SCAG): Drow Magic gives you access to Dancing lights, faerie fire and eventually darkness and you don’t have to avoid the sun. All the positives with none of the downsides. Good deal. Moon/Sun (High) Elf Descent(SCAG): The weapon training is wasted on you. The Wizard cantrip can be useful though you’ll need to choose one that isn’t based on INT. Some options are: Prestidigitation, Light, Mage Hand, and with SCAG and the War Caster feat in play, Booming Blade. And you get the Half-Elf’s better stats. Wood Elf Descent (SCAG): Another time the weapon training is wasted, though Fleet of Foot for some extra speed isn’t bad. You may get some use out of Mask of the Wild but it’s situational. Half-Orc: [+2 Str, and +1 Con] Darkvision, deadlier crits, avoid a KO once a day and free Intimidation proficiency. Doesn’t get much better for STR-Paladins. Tiefling [+1 Int and +2 Cha] The +2 to CHA is fun, the INT doesn’t help much. Thematically a Fiend Paladin who is resistant to fire like a Blackguard just sounds badass. The Variant Tieflings are a mixed bag..
Infernal Legacy [PHB Default]: Thaumaturgy can be fun but isn’t straight up useful. Hellish Rebuke and Darkness give you some ranged options and utility. Devil’s Tongue: Lay on that devilish charm with Vicious Mockery being a solid ranged option when you’ve got nothing else. Charm person and Entrall based on your Charisma spellcasting modifier are also solid options if used correctly. Hellfire : Replacing the hellish rebuke with burning hands helps your ability to handle some hordes, not a huge change though. Winged: Instead of extra spells you get to fly around when not wearing heavy armour. Only worth considering if you’re lightly armoured. Old-school Players will recognise this as the “Lawful Good” Paladin trope. Don’t worry too much about sticking to those guns in 5E D&D though as the tennents themselves are pretty vague. There’s a balance between Defence and Offence here with the class features you get. Your main enemy (apart from undead) will be fiends and eventually any non natural plane creatures. Sacred Weapon: Lv. 3, Channel Divinity (1 total/short rest). An action to add your CHA-modifier to attack rolls for a minute (10 rounds). Does not require Concentration to maintain (thus stacks with any other buffs) and does not count as a spell (which means you can cast a swift spell in the same round). Since it’s an action to activate, you’ll want to use this power a round or two before you anticipate the start of combat for best results. A very good ability for that climactic fight during that part of the day. Turn the Unholy: Lv. 3, Channel Divinity (1 total/short rest). The classical Paladin’s Turn Undead ability, with the additional twist of turning fiends as well. Can’t destroy them the way a Cleric does Undead, but making them run away is still pretty good. This one is definitely best used against a horde of such enemy types; obviously situational, but considering your class’ overall weakness against hordes in general you take what you can get there. Oath Spells (overall rating): Lv. 3. All of these are quality spells that are mostly already on the Paladin list. They skew towards buffs or healing spells, though there are a few damaging spells thrown in for good measure. Sanctuary for example is great at protecting a healer. Aura of Devotion: Lv. 7. Getting immunity to charm for yourself and allies within the Aura is very powerful. Essentially immunity to spells like Suggestion, Dominate and Geas, as well as to equally nasty monster Charm abilities like those from vampires and succubi. There’s not much worse than your own allies turning against you. Purity of Spirit: Lv. 15. Aberrations, celestials, elementals, fey, fiends, and undead will always have disadvantage on attack rolls against you. Plus you now can’t be frightened by them, or be possessed (You already couldnt be charmed). This is a solid list of creatures for most campaigns, even stronger if you’re going up against Liches and Draco-liches. The benefits of this will definitely be felt against hordes of weaker enemies of these types. High-CR bosses of these types will probably still hit you fairly often (unless you have +X armor and shield of some sort), but even for them disadvantage means they’re almost never going to get a crit on you. Holy Nimbus: Lv. 20 (1/long rest). Great against hordes of enemies, morse specifically hordes of undead or fiends who are vulnerable to radiant damage. Does not count as a spell, and does not require a saving throw, it just does damage. The advantage on saving throws is a nice addition. Looking for more of a Chaotic Good feel to your Paladin? Consider the nature-themed Oath that gives you bonuses against Fey creatures. The Oath of the Ancients sees you protected from Magic damage from spells along with some great defensive utility options. If your campaign sees you fighting mages or wandering through the Feywild then this could be a strong choice. Nature’s Wrath: Lv. 3, Channel Divinity (1 total/short rest). Not off to a strong start, using your action to restrainin is nice but the range is short. Only better than a grapple because it can be used on enemies regardless of size, plus they can’t use their action to escape. They’ll get a chance at the end of each turn to make the saving throw to get free. In addition to the initial STR/DEX save, it also allows those saves after all the enemy’s turns. Turn the Faithless: Lv. 3, Channel Divinity (1 total/short rest). Similar to the Devotion’s Turn the Unholy, except replace the undead with fey (still turns fiends, too). I’ve seen this used to great effect against a room of demons that let the party just walk out of a room unassaulted. Can also help you pick off one at a time while holding the others at bay. Oath Spells (overall rating): Lv. 3. Druid may look askance at you for borrowing from their spell list here. There are some quality spells I see used to great effect such as: Ensnaring Strike, Misty Step, Moonbeam, Protection from Energy, Ice Storm, Stoneskin and Tree Stride. Moonbeam and Ice Storm, in particular, are viable anti-horde tools. Aura of Warding: Lv. 7. Cuts all damage from spells against you and allies in your aura in half! This doesn’t help against creatures with natural magic damage like Dragons, but it does help protect against unavoidable damage like Magic Missile. This is pretty much this Oath’s defining feature. Undying Sentinel: Lv. 15. Similar to the Half-Orc racial ability, instead of going down you’re still kicking with 1 hit point. You’re still just as effective at 1 hitpoint so this is great. Being immune to the effects of old age is interesting thematically but it’s never come up in my games. Elder Champion: Lv. 20 (1/long rest). Become the avatar of the forest and regain some health every turn. The main fun of this is being able to open up the battle with a bonus action control spell that’s harder to resist. Takes the action to cast Elder champion, but with forewarning you may be able to trigger it before battle. If you remember the Avenger from 4th edition you’ll have a bit of an idea how this Paladin subclass works. The Oath of Vengeance is all about dishing out incredible damage to one target at a time. Find the biggest, baddest target you can find, sear Vengeance upon them and go to town. And while you don’t get any real defensive options from this Oath, the core of the Paladin class has enough of those that it doesn’t really matter. If you can be said to have a weakness, it’s that you’re even less effective in horde battles than Paladins of the other Oaths, since you’re so laser focused on single target damage dealing. Abjure Enemy: Lv. 3, Channel Divinity (1 total/short rest). Target a creature and tell it to wait right there. Has use in keeping a melee fighter out of the fight until you’re ready for it. Most of the time you’ll be using your Channel Divinty for your Vow of Enmity though. Vow of Enmity: Lv. 3, Channel Divinity (1 total/short rest). Get close to the biggest bad and utter your Vow as a bonus aciton. This power gives you advantage against this creature for a full minute.This power, activated as a bonus action, gives you advantage (no ifs ands or buts), against the enemy you target. Later features key of this incredibly well also. Oath Spells (overall rating): Lv. 3. All of your Oath spells reinforce your ability to inflict incredible damage on one target. Either by incapacitating your target so you can get close or holding one enemy off so you can focus your Enmity target. Hold Person, Misty Step, Dimension Door, Hold Monster all let you isolate your target. Haste, Hunter’s Mark increase your already excellent damage output. Relentless Avenger: Lv. 7. A great tool to pursue and get in front of a fleeing enemy so that they must move past you again. Potentially useful with Sentinel and Polearm Master. Soul of Vengeance: Lv. 15. Any time your Vow of Enmity target makes an attack you can use your reaction to make a melee weapon attack against it. So now when they flee or stay you’re getting extra attacks, steps on Sentinel a little as it lets you attack even if the target attacks you. Also means if you did go Sentinel you’ll need to assess if it will run away this turn so you can make the most of your reaction. More attacks per round is always excellent though, especially with advantage and Hunter’s Mark stacking up the damage. Avenging Angel: Lv. 20 (1/long rest). The Vengeance capstone; for 1 hour you gain 60 ft. flight speed and aura of menace (30 ft. radius, Wisdom save or be frightened for 1 minute or until damaged, and attack rolls against the creature have Advantage). The flight speed for 1 hour is great, but somewhat late. The Aura of Menace makes every creature that starts or enters the 30ft aura make a Wisdom save or be frightened for 1 minute. Even if you’re hitting them they’ll no longer be frightened, they’ll have to make the save again at the start of their turn. Float into a room and fill everything with dread. You choose to uphold the virtue of law and civilisation with your every breath. Any kind of Lawful alignment works with this one but it’s not a requirement. Perhaps you’re a knight an their way to nobility or kingship, perhaps you’re in the employ of Devils who have a rigid hierarchy. A lot of your kit lets you direct damage and attacks to yourself so that your allies can get stuff done. You aren’t as agressive as other Oaths (ignoring Redemption) and you’ll find your strengths lie in protecting your allies. Heavy weighs the crown as you’ll be spending a lot of time trying to defend your ‘subjects’. Champion Challenge: Lv. 3, Channel Divinity (1 total/short rest): Bonus action to force enemies to stick close to you, doesn’t force them to attack you. You can prevent melee enemies attacking allies by standing apart, the problem then comes from allies wanting to be close for your aura. Turn the Tide: Lv. 3, Channel Divinity (1 total/short rest): A bonus action heal to all creatures (your choice) for 1d6+CHA. Starts strong but doesn’t really scale at all. Fair to have on hand for emergencies, if nothing else. Oath Spells (overall rating): Lv. 3. All but two of these are already on the Paladin spell list, however: Spirit Guardians, and Warding Bond are fantastic spells to boost the power you have. And it should be noted that even the redundant Paladin spells on this Oath list are still at least good or even great spells (e.g. Command, Aura of Vitality, Banishment). Divine Allegiance: Lv. 7. Take damage that would otherwise go to an ally within 5 ft of you. Unfortunately, it can only be done once per round since it uses your reaction, making it sharply less effective in a fight with multiple enemies or against multiattacking bosses. Also means you can’t use this if you already used the Protection fighting style that round. Unyielding Spirit: Lv. 15. Advantage on your saves against two of the most devastating conditions in the game, paralyzed and stunned. At this level it’s probably not much more than a safeguard considering your Aura of Protection and proficiency bonuses, but it certainly doesn’t hurt to have it, either. Exalted Champion: Lv. 20 (1/long rest). For a full hour you get resistance to all non-magical weapons which is still has an impact at the top levels. Advantage on ally death saves and advantage on your and allies’ WIS saves are nice, too. A Paladin who looks at the world and realises it needs law and order. The person to bring the correct law is of course you. This Oath takes Lawfulness to the extreme, arguably to the point of tyranny. Become the ‘benevolent’ dictator and rule with an iron fist, crushing all opposition. Mechanics-wise, this Oath seeks to rule the battlefield through fear, and it does a pretty good job of making the Paladin’s existing frightening spells and abilities even nastier, plus it comes with a few more such abilities on its own. Overall, this Oath is a lot more about control and lockdown than it is outright damage. Since making enemies frightened is such a huge part of this Oath’s battle strategy, Charisma is even more important for this subclass than for many other Paladins; in fact, it may be as high or even HIGHER a priority than Strength. Conquering Presence: Lv. 3, Channel Divinity (1 total/short rest). Frighten each creature within 30ft of you as an action. This is already strong but gets better as more features key off the frightened condition. Good tool for controlling a horde of enemies. However, it unconditionally allows a save on each of the enemies’ turns, making this mass fear CD inferior to the Oathbreaker’s Dreadful Aspect. Guided Strike: Lv. 3, Channel Divinity (1 total/short rest). Pinched from the War Cleric, +10 to a single attack roll. Great when paired with an active Wrathful Smite to get a better chance at triggering frightened. Oath Spells (overall rating): Lv. 3. There are some solid additions to your Paladin arsenal here. At 9th level you come online with Fear, but at all levels there are an excellent thematic mix of defense armor of Agathys, and offense spritual weapon. Aura of Conquest: Lv. 7. This is where your Conquest really begins. This 10ft Aura brings you online as a fear consuming machine. Any creature frightened by you gets its speed reduced to 0 and takes psychic damage at the start of its turn. The most important thing is to keep your arsenal loaded with frightening spells and abilities, and that means preparing the excellent Wrathful Smite (1st-level spell), keeping it prepared and using it against the most threatening single targets. When dealing with hordes, you have Conquering Presence and later Fear as an Oath spell. And then there’s shoving a frightened enemy prone in this Aura, which means they’re never getting back up. Or use a polearm and wail on an enemy 10 feet away, and if they have only a 5-foot reach, they’re not hitting you back. Scornful Rebuke: Lv. 15. How dare they even think of attacking you. Any time an enemy hits you with an attack, including ranged attacks, it takes your CHA-modifier in psychic damage. Every single time. Every single enemy. Automatically. No reaction needed on your part. This can add up very quickly. Invincible Conqueror: Lv. 20 (1/long rest). Resistance to ALL damage is huge. For the full minute you’ll be trying to get in EVERYONEs face and get them to attack you (and thus taking psychic damage). An extra attack is always nice, especially because your crit range is expanded during this time. Ever played a Holy Paladin in World of Warcraft? You spend more time healing others and casting buffs than actually doing damage. You aren’t as effective as a Life Cleric at healing but there can be some fun to be had in the Redemption path. The pacifism part of this Oath can make it very challenging to play in a traditional dungeon crawl. Focus on boosting up your CHA score because your Oath spells are great, but they need to be to make up for the lack of hits you’re dishing out. Some of the strength in this Oath come from its Persuasion check boosts so it could be more effective in a high-roleplay campaign. Emissary of Peace: Lv. 3, Channel Divinity (1 total/short rest). 10-minute long +5 bonus to Persuasion checks. Obviously good in the social pillar. Rebuke the Violent: Lv. 3, Channel Divinity (1 total/short rest). Useful against big damage dealers, Once per short rest you can make someone take the same amount of damage they just dished out as radiant. Still requires they fail a Wisdom saving throw. In all, you won’t be using this very often, although admittedly it’s nice when you do get a chance to use it and have it deal enough damage to be worth burning your Channel Divinity use. Oath Spells (overall rating): Lv. 3. Some real solid spells in this list, you’ll notice they’re all utility or defensive which is thematically appropriate. You’re going to be a lot more reliant on spellcasting than all other Paladins. You’ll get a couple of useful levels out of Sleep, and then there’s the likes of Sanctuary, Hold Person, Counterspell, Hypnotic Patternand, at late levels, Wall of Force, all of them very good spells. And a few others on the list like Calm Emotions and Otiluke’s Resilient Sphere still have their uses. Aura of the Guardian: Lv. 7. You can take damage instead of your allies as a reaction. There’s no way to reduce this damage, helps keep your allies alive but it’s a pretty small range until Lv. 18. Not super effective vs. multiple enemies and multiattacking bosses. Protective Spirit: Lv. 15. Comparable, and in fact slightly superior numbers-wise, to the Champion Fighter’s Lv. 18 feature Survivor, with its free healing when under half your total hit points. And you get it three levels earlier than the Champion Fighter does. Yay for that? Emissary of Redemption: Lv. 20. Weirdly the capstone for this Paladin path doesn’t really mesh well with the playstyle. There is a constant effect with two strong benefits: Resistance to all damage vs. all enemies, and auto-damage retaliation against enemies who hit you with attacks. Unless you’re streaking past enemies trying to provoke opportunity attacks it’s very easy to just be ignored. To get the most out of this in a party setting, you will want to focus fire entirely on one enemy at a time — which is completely the opposite of what this Paladin has been doing for 19 levels. And there you see the problem with this capstone, and the way this Oath was designed in general. This isn’t an ‘Oath’ so much as a path the DM could put you on for breaking your Oath. Having said that, there’s a lot to like in the Oathbreaker. While it doesn’t mean you have to be evil, it certainly lends itself to that Anti-Paladin or Blackguard kind of theme. 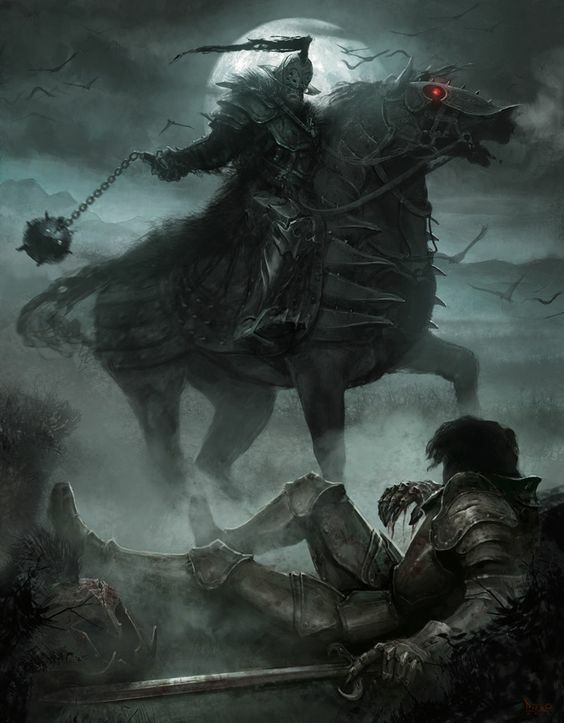 The powers and are a mix of Necromancer and Fiendish magic and your ‘good’ friends may look at you warily every time you break out your own army of undead. 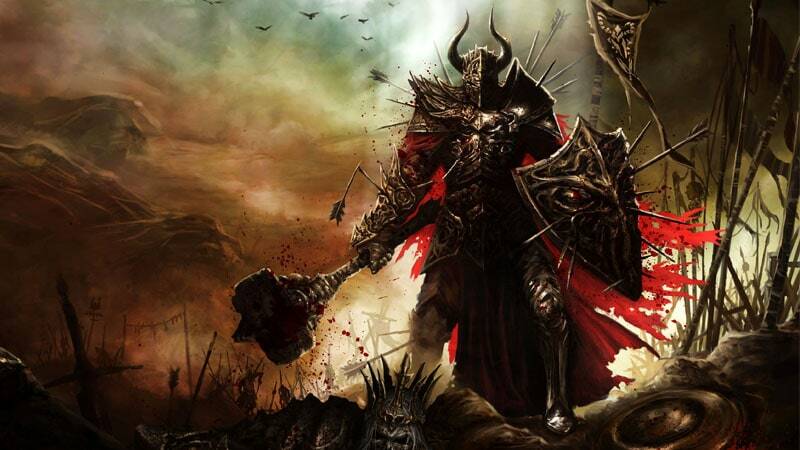 I’d consider discussing with your DM about making it all about Fiends instead of Undead if it fits your character like a Blackguard of Asmodeus. The Oathbreaker Paladin also has more in their kit to help out with multiple enemies. Your allies aren’t going to love you though as you’re not really providing anything team-related they may expect from any other Paladin. Control Undead: Lv. 3, Channel Divinity (1 total/short rest). This starts slow but scales up incredibly as you level. Pretty much any undead creature without Legendary Resistance that’s at least 1 CR lower than your level is fair game to be controlled for an entire day. As written there isn’t a limitation on undead you can control, so rest an hour and take over another one. Imagine yourself at Lv. 18 in full command of an army of Death Knights. Or if you’re more the Paladin of Asmodeus type, see if you can convince your DM to change references of Undead to Devils. Dreadful Aspect: Lv. 3, Channel Divinity (1 total/short rest). Another mass frighten ability, this time everyone within 30ft of you for a full minute. One main diference between this one and the Conquest’s Conquering Presence, is that Deadful Aspect only allows enemies to roll saves to end this once they’re more than 30 feet away from you. Drive your enemies from you and bask in the lamentation of their…. oh sorry. Oathbreaker Spells (overall rating): Lv. 3. Here’s where we see the Undead and Fiendish nature of the Oathbreaker. It’s a little all over the place with (Hellish Rebuke, Inflict Wounds, Crown of Madness), but on the flip side, there are also some pretty good additions (Animate Dead, Confusion). Aura of Hate: Lv. 7. Here’s where instead of helping your mundane allies you boost up the power of undead and… fiends? If you’ve taken my advice and taken control of an undead every hour on the hour you should have a solid force backing you up, that coupled with Animate Dead will see you as a force all on your own. Note, however, that this aura boosts enemy undead and fiends as well, so in fights against those creature types this ability becomes a double-edged sword. Supernatural Resistance: Lv. 15. Resistance to all the usual weapon damage types from nonmagical weapons. You’d be surprised at just how many monsters that protects you from, even some legendary monsters with really high CRs. That includes all dragons and even the Tarrasque. Dread Lord: Lv. 20 (1/long rest). Your ultimate Paladin captsone creates a spooky atmosphere, great damage to any frightened enemies in your aura, plus a bonus action attack that does necrotic damage. Best combo-ed after using your Dreadful Aspect The other really nice part includes forcing disadvantage on enemies’ attacks against you and any allies, and the bonus action melee spell attack is a neat side benefit if you weren’t already attacking consistently with a bonus action. You get to pick two from the following. Your background will give you even more skill proficiency, which are not restricted to this list. If your background offers you a class skill you already have, you can then take any skill instead. Your race may also give you more chances to pick skill proficiencies, again not limited to this list. The Paladin doesn’t fill the skill monkey role all that well, but they are more than capable of offering good party support in this regard. Intimidation: CHA should be a great stat for you. Really fits the theme of a Conguest or Oathbreaker Paladin too. Remember there are also ways to do a ‘Strength-based intimidation check’ if that’s slightly better so you want to be proficient in this either way and speak with your DM. Persuasion: If you’d rather make friends than scare people, go for this one over Intimidation. Religion: You may be required to commune with your diety every now and then. This is better suited or Clerics or Wizards really, but you may see some use out of it depending on the campaign. Acrobatics: Less important than Athletics, unless you’re going for a Dex Paladin. You’ll need this for escaping grapples or resisting shoves. Animal Handling: Unlikely to come up too often, but gets better if you are considering a mounted Paladin. Arcana: Not your strong suit, and somewhat atypical for a Paladin. Sleight of Hand: A fun option, though not traditionally paired with the Paladin. Stealth: Slightly party specific, if you’re a Dex-Paladin it’s well worth getting. Especially if you’ve got some sneaky allies who would love surprise rounds. History: Doesn’t play to your strengths, may be more interesting for an Wizard who has points in Intelligence. They can help flesh out your character a bit, offer some mechanical help, and help you better define where your Paladin is coming from. Acolyte: [insight/religion] Thematically appropriate, maybe your order can provide you somewhere to stay. Religion as a skill isn’t the greatest, but Insight is decent. The extra languages can be useful, though it is not a traditional Paladin specialty. The perk is fun and flavourful, though possibly campaign/DM specific. Charlatan: [deception/sleight of hand] An odd choice, but potentially fun. The two tool kits can add a really strange layer to your Paladin. The perk can add some fun roleplaying opportunities. This takes most Paladins out of their comfort zone, but it isn’t a bad choice. Entertainer: [acrobatics/performance] Mentally, I always think of something like the circus strongman with this combo. Acrobatics and Performance aren’t great skills for you to have though. The perk does offer some fun character building opportunities. Noble: [history/persuasion] Thematically fit for a number of Paladin types. Some retainers to water and hold your mount could be helpful. The skills don’t mesh that well with you, but access to the Gaming Kit could be fun. Outlander: [athletics/survival] A wandering mercenary from the outlands could be a great fit for a low of Paladins. The perk is nice, though it does step on the toes of the Survival skill a little. Sage: [arcana/history] Like the Hermit, pretty atypical for a Paladin. The two languages are nice if you expect them to be useful, but the rest is rather “meh”. Soldier: [athletics/intimidation] This fits a lot of Paladins well. The perk may be a little restrictive depending on you DM. Running into old Soldier mates can be a great boon for more social scenarios. Military rank’s benefits are great, letting you give orders to guards and other soldier NPCs. The Paladin gets three Ability Score Improvements – one at levels 4, 8, 12, 16, and 19. You do have a few abilities you’re looking to boost though so you wont have too much room for feats. Alert: Going first means you can disable enemies before they act. +5 to Initiative can be handy with the right party makeup. Actor: Unless you’re in a particularly social campaign or are looking for the +1 Cha this isn’t super useful. Often a Bard or Warlock could grab this. Charger: Charging in may be useful for closing some distance, often Paladins can’t do much if they get stuck out of range. There are better options in most cases though. Crossbow Expert: Mandatory if you’re using crossbows, But Paladins aren’t really geared towards ranged combat so while I can’t stop you, it’s just a strange choice. Dual Wielder: +1 to AC when dual-wielding … but dual-wielding is weak for single-class Paladins. Might be worth it if multiclassing Rogue, in which case using 2 rapiers, or rapier + dagger might be appealing. Elemental Adept: 100% useless for Paladins. Healer: If you’re a Redemption Paladin your party may look to you for this. Good benefits for healing kit use, but this feat should typically be left to a Thief. 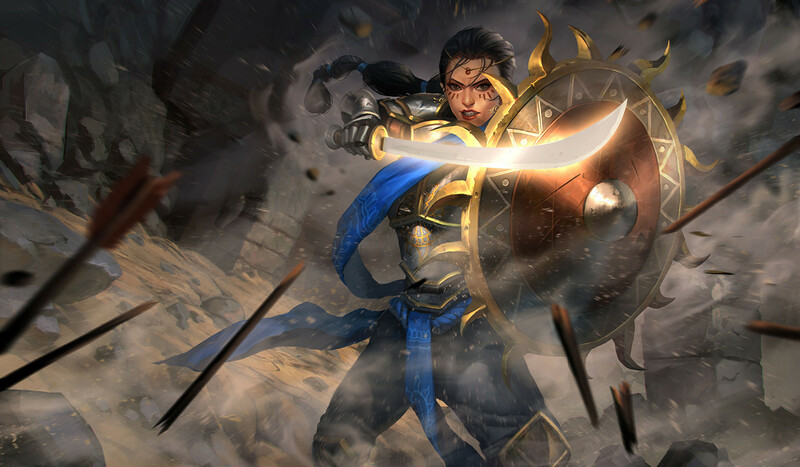 Heavily Armored: The only way this could possibly be relevant is if you didn’t start as a Paladin… in which case this isn’t a bad pick if you’re Strength-based. Inspiring Leader: You have a good Charisma, and it’s a solid amount of survivability to your party. This can help give your party a bit of a shield before battles – not the strongest, but very flavorful. Keen Mind: The INT isn’t useful but depending on the campaign this can be interesting. Maybe ask the Wizard to take this. Linguist: The other odd bump for Int, but still your dump stat and Languages aren’t often useful. Lucky: A good all around bonus. These lucky points can counter disadvantage and work with advantage so can make features of Oath of Vengance stronger. Mage Slayer: Somewhat campaign-dependent, but can be overpowering against the right opponents. Oath of the Ancients Paladins who can Misty Step to get in close can use this to utterly shut down enemy spellcasters. Oath of Vengance Paladins may see some use too as it fills the hole of spellcasting triggering reaction attacks for them. Magic Initiate: More cantrips and a spell. Some interesting options include Wizard for Find Familiar and a choice of: Prestidigitation, Light, Mage Hand, Booming Blade (SCAG). Sorcerer or Warlock for cantrips that actually are compatible with your casting stat, including some ranged attack options like Eldritch Blast (Warlock) or Fire Bolt and/or Ray of Frost (Sorcerer). Green-Flame Blade is also an option if you pick one those two CHA-casting classes, and Booming Blade is, too. Martial Adept: Gives you extra maneuvers and one more Superiority Die, which is a d6 if you’re not a Battle Master. Better for those who multiclassed into Battle Masters and need even more tactical versatility. Medium Armor Master: If you happen to be at 16 Dex you get +1 AC in medium armour. Not a great boost for a feat. Mounted Combatant: If you’re mounted a lot on something large this is great. You’ll have Find Steed so it’s a question of Do you spend a lot of time mounted? Resilient (CON): For a single feat point, you gain a save proficiency. That’s awesome! Even better if you’re using a lot of spells that require Concentration. Great Weapon Vengeance Paladins who want to use Haste to its fullest potential are the most likely to consider this highly. Conquest and Redemption Paladins who rely on control spells that need concentration to maintain are also likely to consider this mandatory. Aura of Protection + CON save proficiency + decent CON can get those vital Concentration saves into auto-success territory vs. DC 10, and even vs. higher DCs than that at higher levels and with more CHA bumps. And CON save proficiency in general is very good to have, as it protects against a lot of incapacitating and stunning sort of effects. And on top of this you even get a +1 to CON to bump up an odd score to the next modifier, or allow you to start with an odd score if planning your build ahead for this feat. Ritual Caster: Rituals can be a great boon to you and your party. The INT or WIS requirement makes it a tough sell though. Rituals can save you some spell slots over the long term. Savage Attacker: Doesn’t work with your Smite damage so it’s not as cool as it seems. Sentinel: If you want to play a “Defender” style of Paladin and stop enemies getting past this is your ticket. This is a great way to shut down enemies movement and punish them for even considering to attack your allies. Has a bit of waste for the Oath of Vengance but may also give you more opportunities to… opportunity attack. This also has fantastic synergy with Polearm Master, letting you stop enemies at reach with OAs. Sharpshooter: None of your kit like smites works with ranged attacks. Unless you for some reason went Crossbow Expert then maybe consider pairing this one… or roll a fighter instead. Shield Master: A key feat for a shield Paladin. Speak with your DM though as the wording is important. as you can shove with a bonus action, if you make the attack action. The discussion you’ll need to have is if that bonus action can go between (or even before) you actually start the attacks, because you’ll get advantage on the attacks if your opponent is prone. The shield bonuses on Dex saves is also helpful. Skulker: There are too many ways to get around this. It’s not worth it, even for a Dex-Paladin. Spell Sniper: You don’t really have what’s required for this. Tavern Brawler: There’s not a lot of synergy for an unarmed grappler Paladin. War Caster: Usually you’re better off taking Resilient (CON) for protecting your concentration spells. However, this feat does become a lot more valuable for Paladins who somehow got Booming Blade and/or Green-Flame Blade (e.g. 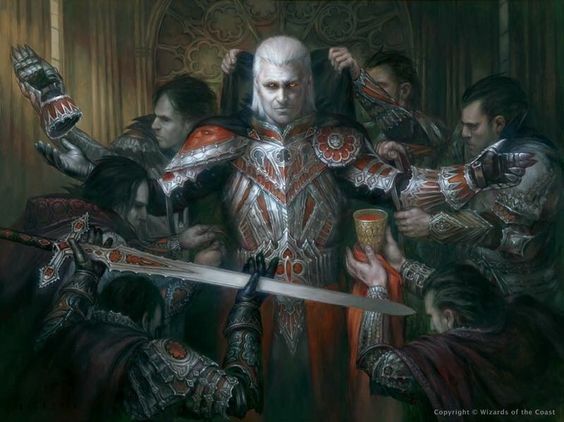 High Elf or Half Elf with High lineage, Magic Initiate feat) and would thus be able to cast those cantrips as especially devastating opportunity attacks. For them, this feat may very well be preferable to Resilient (CON). I’m going to leave some of the finer points of multiclassing up to the individual though, especially anything that takes away from the character being majority Paladin. Barbarian : Any STR-Paladin might be interested here, though the Unarmoured Defense is wasted if you’re in Plate. Rage for more damage and if you take 2 levels you’ll get reckless attack to force advantage. Bard: If you want more spells or Bardic inspiration this one can be a good look. You should certainly have the 13 Cha required. Cleric: Your religious cousins don’t really stack well here. WIS is likely your dump stat. Fighter: You’ll lose your capstone ability, but you’ll at least gain Second Wind, Action Surge and a Fighting style. Ranger: The Gloom Stalker (XGTE) for its Dread Ambusher is a consideration, but anything else falls rather short as the spells aren’t worth it. Rogue: Sneak attack is solid for the Dex-Paladin especially when you’re laying on some Smite at the same time. Cunning Action will is a solid feature that makes you versitile like nothing else. Sorcerer: If you’re looking for more Smite spell slots you can look here. The trade off is losing some hit point gains. Warlock: Helps with a little ranged potential and gives you spell slots that will refresh on a short rest. Wizard: Nothing here you need.